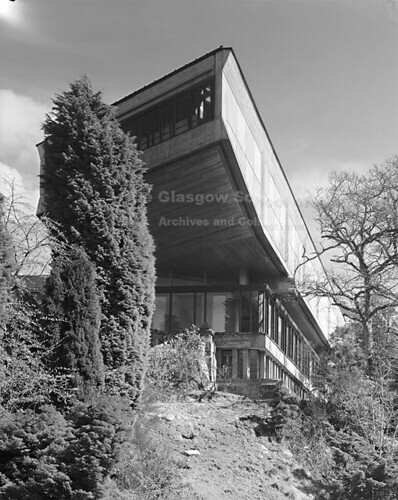 The Glasgow School of Art Archives have recently placed several hundred images from the Scottish architectural firm Gillespie, Kidd & Coia online to share with users of the photo sharing site Flickr. Best known for their post-war building projects, GKC is generally associated with the works of architects Andy Macmillan and Isi Metzstein, which include St Peter's Seminary in Cardross, and the their application of modernism in their design of churches and universities across Scotland and the UK. Presented here are 33 buildings that Gillespie, Kidd &amp; Coia produced in the three decades from the late 1950s until the late 1980s, including a short history of each building and its current status. All images are owned by the GSA Archives, unless stated otherwise. Excellent news! I do like a bit of GKC, well done! We hope you enjoy the images. Hopefully there are some you haven't seen before, such as building models and some personal pictures from Isi Metzstein and Andy Macmillan. There are also a large amount of technical drawings in the archive, as well as press releases and other ephemera.